West Haven/Sacred Heart Academy co-op goalie Kyleen Crowe. WEST HAVEN — The West Haven/Sacred Heart Academy co-op has a chance to make it a trifecta. And they’ll be doing it on very short rest. The Westie-Sharks (18-2) knocked off Notre Dame-Fairfield co-op Thursday night, 3-0, at Bennett Rink in the Southern Connecticut Conference South Division girls’ hockey semifinals to earn a berth in the finals at 7:15 Friday night, also at Bennett. The West Haven/SHA co-op will meet the Amity/North Haven/Cheshire co-op in the championship game. West Haven/SHA, the top seed in the tournament, defeated Notre Dame (12-10) twice during the regular season, once in January and the other time just 12 days earlier, by 4-1 and 2-0 scores, respectively. This time, West Haven/SHA dominated the game from the opening faceoff. After an up and down first couple of minutes, the Westie-Sharks got on the board. West Haven/SHA pinned the Lancers deep into their own end and MacKenzie Gardner took advantage of it when she blasted a shot from the right point past Notre Dame goalie Bethany Karp (27 saves) to make it 1-0 just 3:32 into the contest. Just over two minutes later, West Haven/SHA got some insurance as Jenna Hunt sent a pass from behind the net out in front to Taylor Nowak, who converted it with wrist shot into he left side of the net past Karp. “It (the 2-0 lead) helped settle the girls down,” Blake said. “NDF is always a big rivalry for us and is a hard-fought game. No matter what they give us a run for our money every time we play them. Meanwhile, West Haven/SHA goalie Kyleen Crowe (25 saves) was hardly tested in the first period before Notre Dame gave her a couple tough shots in the second period. Hunt picked up another assist midway through the second period as the Westie-Sharks picked up another insurance goal. She fed C.C. Condon with a pass right in front of the net and Condon put the puck past Karp to make it 3-0. Crowe made that stand up as the West Haven/SHA defense didn’t allow the Lancers to get back into the game. And of all things, Crowe did it against her club hockey team coach in Rowland. “It’s a friendly rivalry and I like to play my best,” Crowe said. Meanwhile, Rowland said that getting behind early didn’t help. West Haven/SHA outshot Notre Dame, 30-25. First Period: WH/SHA: MacKenzie Gardner (unassisted), 2:42; WH/SHA: Taylor Nowak (Jenna Hunt), 3:54; Second Period: WH/SHA: C.C. 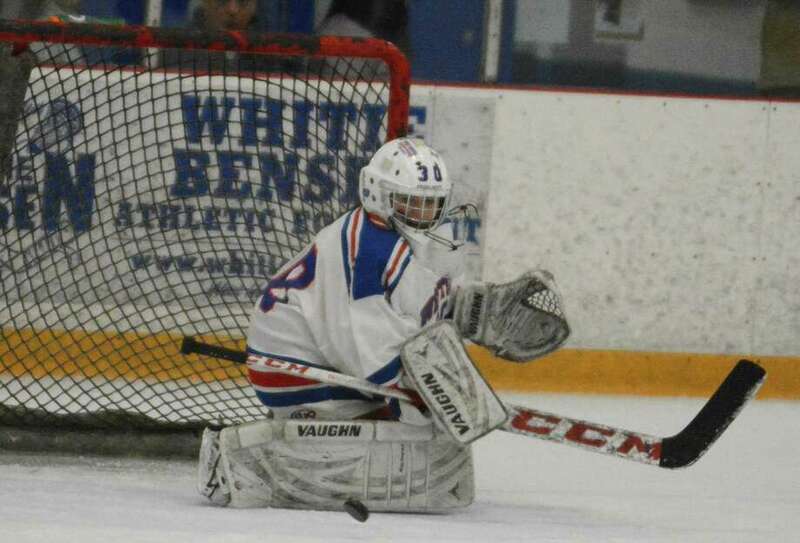 Condon (Jenna Hunt), 9:00; Shots: WH/SHA 30, NDFF 25; Saves: Kyleen Crowe, WH/SHA 25; Bethany Karp, NDFF 27. Records: WH/SHA, 18-2; NDFF, 12-10.